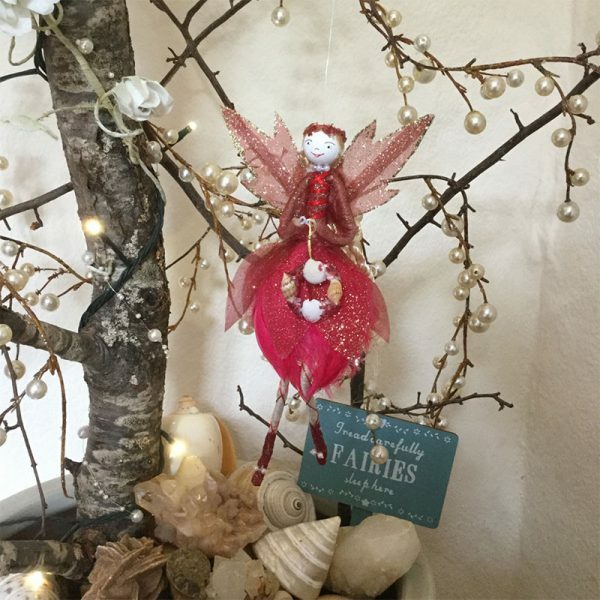 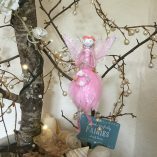 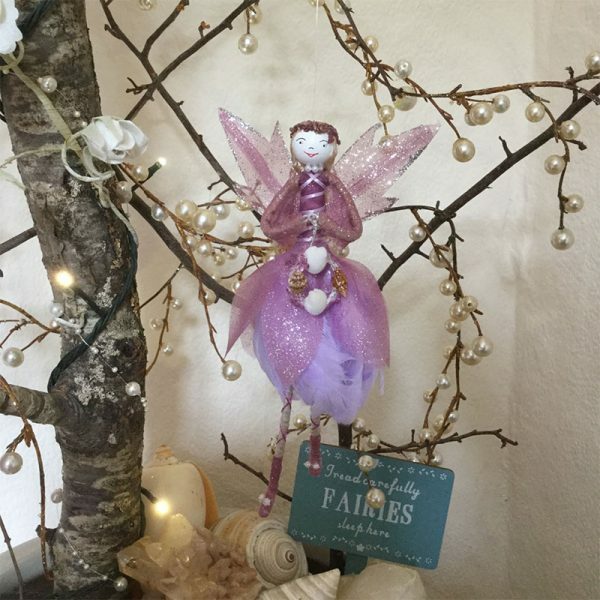 These pretty Feather Fairies bring a gift of lighthearted magic & fun. 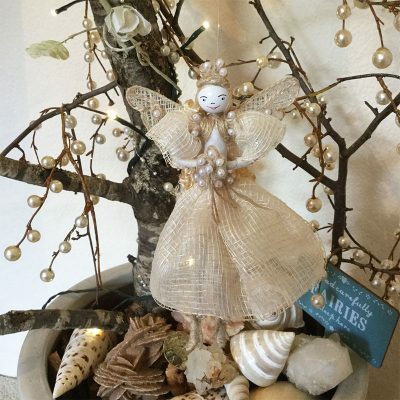 Welcome your little winged friend into your home as she brings a lightness of being into everyday life. 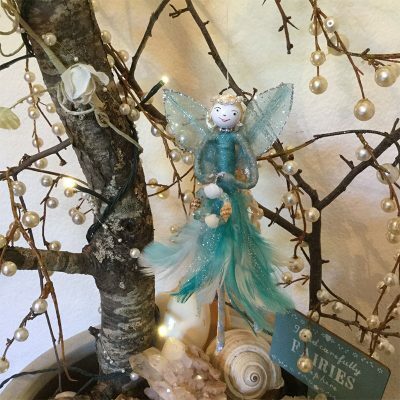 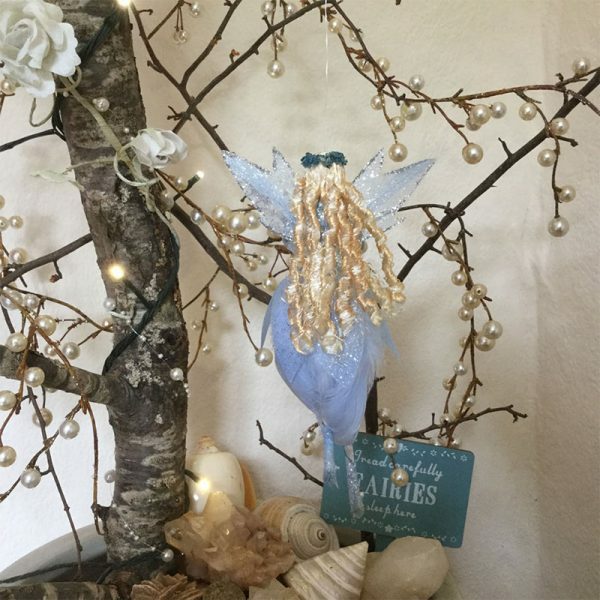 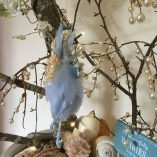 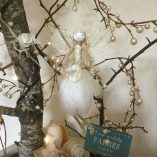 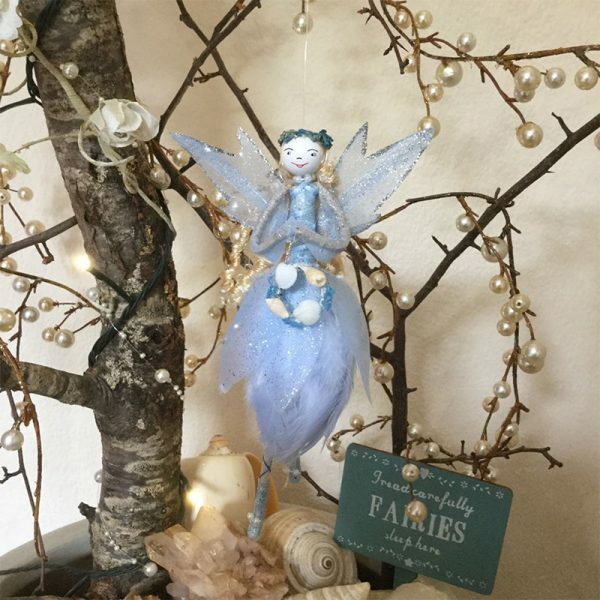 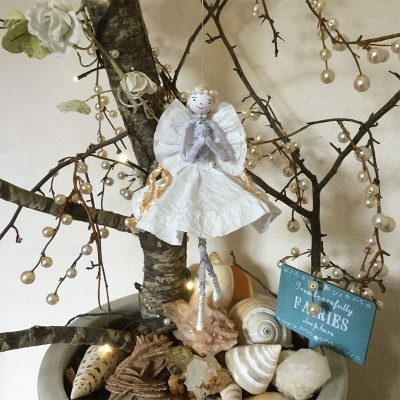 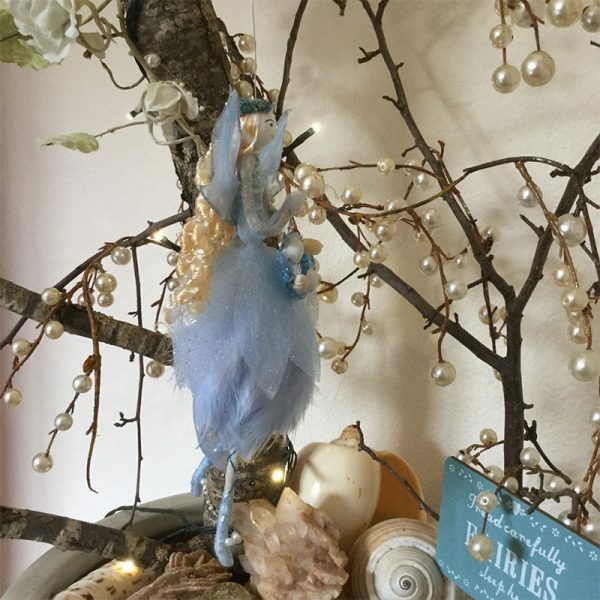 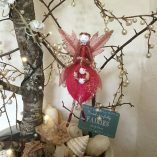 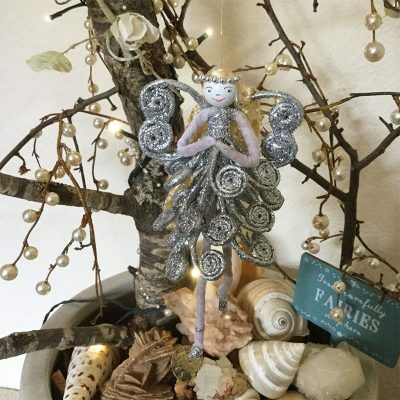 Dressed in a delicate feather & sparkly skirt with twinkling gossamer wings, Feather Fairy holds a shell wreath of wishes waiting to be granted.